Current project : Design ,build and development for a lasercut kit of a 1/10th scale Dornier Do24k flyingboat. 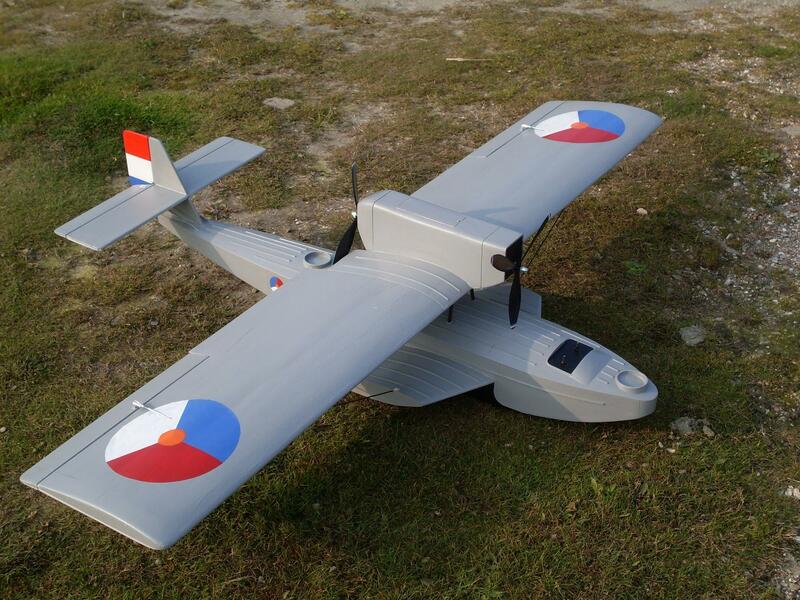 Easy to build scale balsa flyingboat. The templates plan is attached as pdf file. The builder will have to get it printed at a local or online printshop. The idea is that the builder uses this thread as a build guide. The model is build using mostly 1.5mm en 3mm Balsa (1/16'' and 1/8''). The build should be a nice mix between a plan and a scracht build with some things needed to be decided by the builder him or her self. These are things like the cowlings , cockpit , and location of the servo's e.d. Offcourse you can use this prototype thread as a guide. Setup : 2x Park 450 890kv spinning 9x7 three blade props. 2x18A esc and a 3s3300mAh Lipo. Ailerons 13g micro servo metal gear , Rudder and elevator Micro servo 22g. This time i wanted to do an amphian. I thought a Goose might be a good subject so i started to make the 3d model for it , when this was done i surprised Gary with it and his response was very nice. He imediatly got excited so the next project subject was decided. I got inspired by the psm Albatross building method and i was looking to do a simulair construction method. . . . . it should be fun to build it without plans. Added some pictures and a video below . . .
Me and my Goose , at 79'' it is quite a large bird. The cad work . . .
After my empire flyingboat i started a new design. This time the Dornier Do24K was the subject. I did an extensive research and made a very true to scale 3d model. Rcg member Parkcityskier has build the 1st prototype. Sadly the model came out a bit to heavy. Currently i am working on a re-design wich both Jim and i shall build. Now doesn't that look nice . . . This is my first desing , i based on Ivan Pettigrew's solent. During the desing phase i met GLM ( Gary ) from Morganmill/RC here on Rcg. Thanks to this now a wonderfull shortkit of my desing is available for purchase.